BN Realty at Keller Williams is highlighting two outstanding subdivisions in Bloomington this week! We are excited to share information about the neighborhoods of Wexford Hills and Dover Ridge with our readers. This is particularly special to us because one of our own agents lives in Wexford Hills! Sean Caldwell is a member of the BN Realty team and has 25 years of professional experience in sales and business building entrepreneurial work. Sean has invested interest and intimate knowledge of the homes in the area and we are confident that because of this, no other realty group better knows the benefits of these subdivisions. These neighborhoods can be found on the southeast side of Bloomington and they both feed into the Tri-Valley Schools: Tri-Valley Elementary, Tri-Valley Middle and Tri-Valley High. The large homes have all been built with today’s buyer in mind, offering many custom and high end updates. These include: hard wood floors, wrought iron accents, spacious kitchens, walk-out basements, outdoor entertaining areas, four season rooms, vaulted ceilings, home theater systems, and more! They also both offer spacious lots (some coming in at an acre or larger) and a country feel without having to leave town. There are beautiful evergreen trees and no immediate back yard neighbors for many of the lots. The privacy offered in these upscale areas is second to none! Dover Ridge can be found off Cheney’s Grove Rd and Hailey Way, on the East side of Hailey Way. Most of the home values range from the mid $300,000’s up to nearly $620,000. The lots are very large and have no immediate back yard neighbors. One of the desirable features of Dover Ridge is its’ large stocked community pond. While enjoying the weather in the warm months, you can spend your day relaxing and fishing. Often times you’ll see wildlife there too that includes ducks, swans, geese and numerous song birds. The memories that families are able to create in this subdivision are priceless. Taking Cheney’s Grove Road east to Hailey Way will also lead you to Wexford Hills which is on the west side of Hailey Way. In this area the homes are just as gorgeous but priced lower. The home and lot sizes are slightly smaller than the sister subdivision, Dover Ridge. Values range from the high $200,000’s up to about $435,000. If you’re looking for a high-end subdivision at an exceptional price, Wexford Hills needs to be at the very top of your list. We can’t possibly do justice to the homes in Dover Ridge and Wexford Hills by just describing them. These custom homes are the closest to being must-sees as we can get. 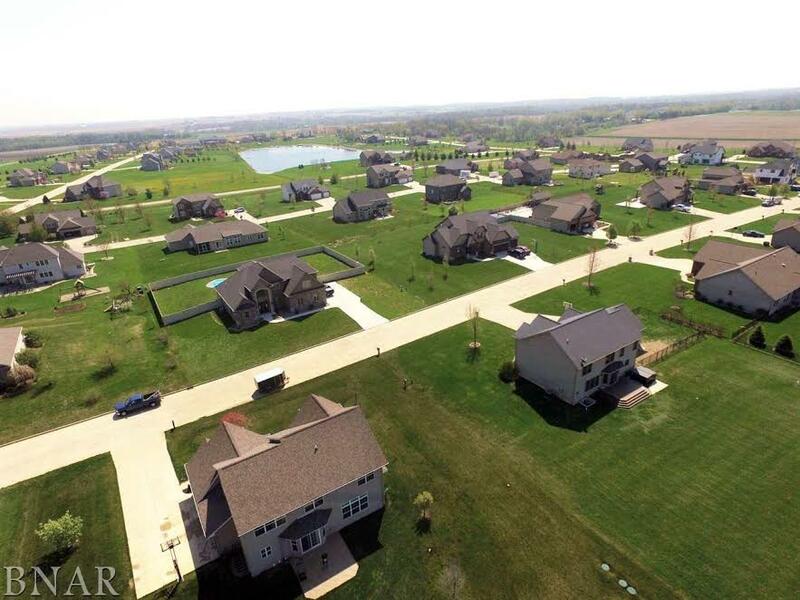 Please consider calling BN Realty at (309) 531-8309 so that we can impress you with the homes in both subdivisions. Let Sean and the rest of our team give you an inside look into one of the finest areas of Bloomington!